Looking for big dog names female? Finding that one perfect name for your new puppy can be a difficult task. Because we have realized that lots of owners, or owners to be, can use some help when it comes to finding the right name, we created a few tips, tricks and tools. One of the first things that you should definitely check out is our dog name generator. This tool is almost essential when you are feeling a bit lost in all the beautiful options of dog names there are. 123Tinki.com has a database of over 40.000 dog names, which is a lot. You can find big girl dog names, small male dog names, whatever you need! Of course you do not feel like going through all those names yourself. You might have been incredibly busy with simply looking for names already! This is where the dog name generator comes in, have you found it on our website already? As the name suggests, our dog name generator is able to generate names. This can really help you when you feel like you are not sure what to look for. You simply fill in a few details and then get access to the database. Once inside the database you will find a panel with filters on the side. These filters are specified into so many things, enough to choose from. You can generate names on gender, color, theme, nationality and even letters or syllables. This way you will be able to only see all the large female dog names, small dog names male, black dog names, French dog names, dog names starting with B… There is enough to find! Whether you are choosing large breed female dog names or something else completely, there are a few things you need to keep in mind. The first thing we really want you to remember at all times is that it is completely okay to take your time. Honestly, you really do not have to rush this decision. Even if you have been looking for weeks already, the right name will eventually come to you. Take your time, think it through and make sure you eventually choose a name that you absolutely love. You are the one that has to call the name for the rest of your dog’s life after all. Make sure you will still enjoy calling this name after a few years as well. Of course we hope that your dog will get really old and she will carry her beautiful name for a good 10, 12 or even 14 years. What makes a dog name perfect? This is a very good question and the answer is simple. 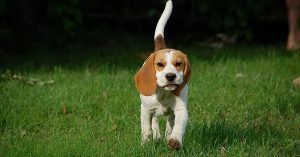 A dog name is perfect as long as you, the owner, believes the name is perfect. It does not matter what anyone else thinks, she is your dog and you will call the name for the rest of her life. Keep this in mind and make sure to choose a name that you believe is perfect. Whether you do look into female dog names for big dogs or you start searching in a different category, your goal is to find the perfect name. Keep that goal in mind. 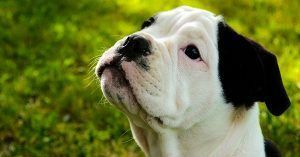 To help you find the perfect dog name we have lots of tips for you and if you keep reading you can also find a few fun facts about dog names history and trends! As you might know, most dogs have been created by mankind. A long time ago humans started domesticating animals and breeding them. This is how many dog breeds were created and scattered across the world. Some breeds are also very much adapted to a certain climate and for example need extra heating in extreme winters because their own coat is not suitable for that kind of weather. Across the world, only 17% percent of all dogs live as pets. All the others are strays. This is of course a very sad thought but in some cultures dogs are simply treated differently than in our western culture. Just like years ago, in some cultures dogs are used more as working dogs. Which for a lot of dogs, is completely okay. They love it! Throughout the years there have been many dogs already, often living as a man’s best friend. Some have become really famous because of something they did or because of the human that was their owner. One of the first domesticated dogs was a dog in ancient Egypt, his name was Abuwtiyuw. The reason we believe Abuwtiyuw was highly appreciated in his time is because on a discovery in 1935 his grave was found. Abuwtiyuw’s grave was special because he was buried with honors. Usually only noblemen of the Etruscans in Ancient Egypt were buried this way. The reason was probably because Abuwtiyuw was the Egyptian King’s best friend and stood by the King throughout his whole life. The king loved him so much that when Abuwtiyuw passed, he gave him his own grave. A few other famous dogs from history and their stories have been listed below. Maybe none of them are suitable as large breed female dog names but it could always be that there is a name in there that you really like! Guinefort was venerated as a saint and said to have lived near Lyon in the 13th century. Guinefort died a very sad but heroic death actually, which is also what made him a saint. The legend says that Guinefort protected a child from a snake, the snake wanted to attack the child while it was in its cot. Guinefort killed the snake but when the father of the child came home and saw Guinefort covered in blood and the cot turned over, he assumed Guinefort had killed his child. The father killed the dog but when he saw his child was unharmed and he saw the body of the snake, he regretted his actions. Therefore he made Guinefort a saint and buried him formally. It has been said that miracle healing took place near the grave afterwards. One very famous dog we all know! Or atleast must have heard of. Hachiko was a Japanese Akita, famous for his loyalty. Hachiko walked his owner to the train station in Tokyo every day and when is owner returned in the afternoon, Hachiko was there waiting for him. When his owner passed, Hachiko kept waiting for him at the station. Day and night. Hachiko was loved and appreciated by the community so much that there is now a statue of him in his place, at the station where he was always waiting. Laika was a Russian street dog, picked up from the streets of Moscow and trained by professors to go into space. They trained Laika to be able to stay in small spaces, because the spacecraft she would later be in was also small. Eventually Laika was the first animal to go into space and also the first one to orbit the earth, she did not return alive. The spacecraft was designed to burn into space. The sad story about Laika is that later, in 2000, a study showed that Laika must have passed inside the spacecraft after 3 hours already. She did not even make it for a very long time. Due to stress and the spacecraft being way too hot, Laika passed away. Another tip from us when finding the perfect name, get creative! Maybe you have been looking for ages already and have found a few names that could be good for your dog. Maybe you have a list of female dog names for big dogs but are not completely in love with one yet. In that case, maybe it helps to shuffle the names a bit. You can pick a few syllables from different names and try to connect them with syllables from other names. Switch it up! For example, one name you like is Kyra and another one you like is Willow. This could make, Kyllow or Willra. Maybe not the best example but that is how you could find a beautiful, new, unique name! You are looking for large dog names girl and many other people might be looking for unique male dog names, while others are looking for Disney dog names or even something else completely. Through the years, dog names have changed and changed. A long time ago it was easy calling your dog ‘dog’, or simply calling each new dog the same as what the dog before was called. Nowadays you can really give your dog any name you like, which is great. Dogs have become more of a friend, really a part of the family and that shows through their names. Giant female dog names can also be an option to look for, but what would that be? Of course you are ready to find a few examples of big breed female dog names, which we have! You are able to find them in the generator or keep reading this article to find a list below! A final tip from Tinki: keep the name short. Different studies have proven that dogs listen better to short and clear terms than long and difficult sentences. When teaching our dog the command ‘sit’, we have to stay clear as well. Since a dog’s name is command to them as well, it is wise to keep the name short and simple. Besides that, you might be able to call a long name easily but when it comes down to having the shout the name in a hurry, it will get difficult. Long names are being shortened easily and that will only be confusing for your young dog. Here are a few examples of girl dog names for big dogs, maybe the perfect one for your dog is in there!